Haha – that’s a good one. But actually – one of the buttons is for really cold water (probably the blue) and the other one is for water at the temperature as it is in the container. 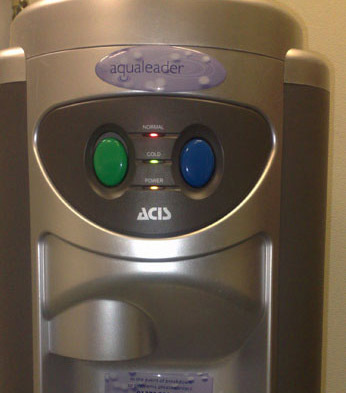 (I know – this is not the real real point in this blog, but I just wanted to let you know that I’ve had the same speculations with our water cooler). I’ve often wondered that too.